At Tyson Foods, we’re committed to our purpose -- to raise the world’s expectations for how much good food can do. We strive to do what’s right for our customers, consumers, suppliers, team members, communities, the planet and our shareholders. That’s why Tyson Foods recently joined the United Nation's (“UN”) Global Compact (“Global Compact”). By joining the Global Compact, Tyson Foods publicly commits to implementing sustainability principles that support human rights, labor, the environment, and anti-corruption. We’re part of a global community of like-minded companies working to do good. Team Member Education Programs: Many of our team members are new immigrants to the U.S. They face unique challenges that we aim to address through our innovative on-site program for team members called Upward Academy. In partnership with local community organizations, Upward Academy provides team members with important life skills, offering free classes in English as a Second Language, General Educational Development, citizenship and functional literacy. Greehouse Gas Reduction Target: We worked with the World Resources Institute to establish a target to reduce greenhouse gas emissions 30 percent by 2030. This bold public commitment has been approved by the Science Based Targets initiative and is part of our holistic approach to sustainability. Land Stewardship: In partnership with the EDF, we announced two land stewardship pilots that will pilot and scale agriculture practices to reduce greenhouse gas emissions, improve water quality and maximize farmer profitability on 500,000 acres of corn. This effort is part of our commitment to improve environmental practices across two million acres of corn by 2020. Hunger Relief: Whether a community is struggling with hunger, food insecurity or natural disaster, we are there to help where help is needed most. We expanded our Miles that Matter Program from one site to nine sites in 2018 and donated more than 250,000 pounds of food, including 1.7 million meals from our Disaster Response Team during hurricanes Florence and Michael. We’ve also pledged $50 million in cash and in-kind donations by 2020 with a special focus on innovative initiatives at the local level. As one of the world’s largest food companies, Tyson Foods has an opportunity and responsibility to make the world a better place. 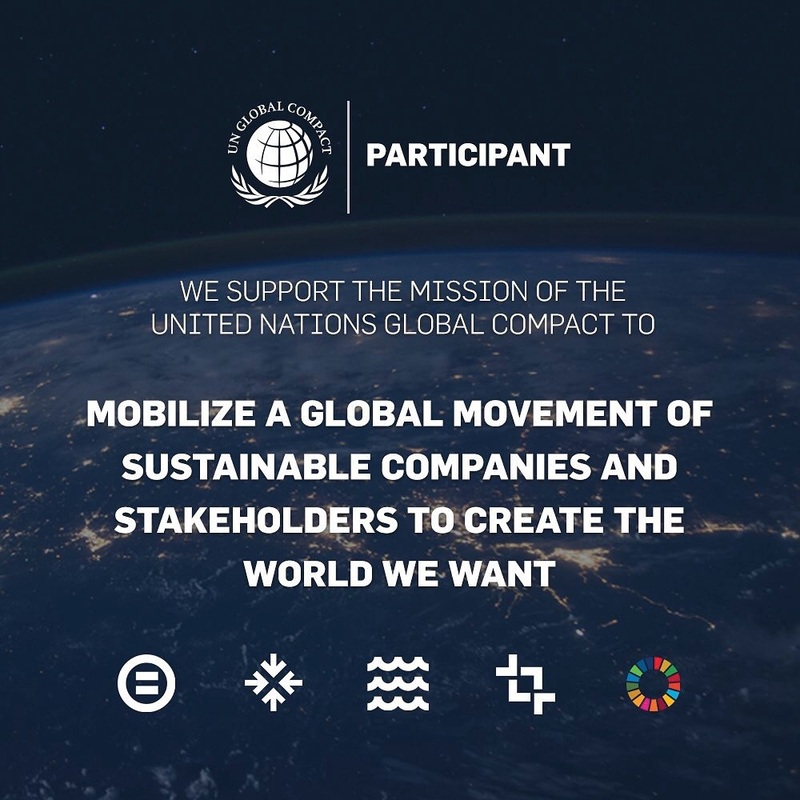 The Global Compact and SDGs are ambitious, but we’re up to the challenge and will be transparent about the progress we’re making along the way.